I thought Lin WAS a person! I just assumed she and the other workers were people who had somehow got stuck in the spirit world like Sen did. Did I miss something obvious? 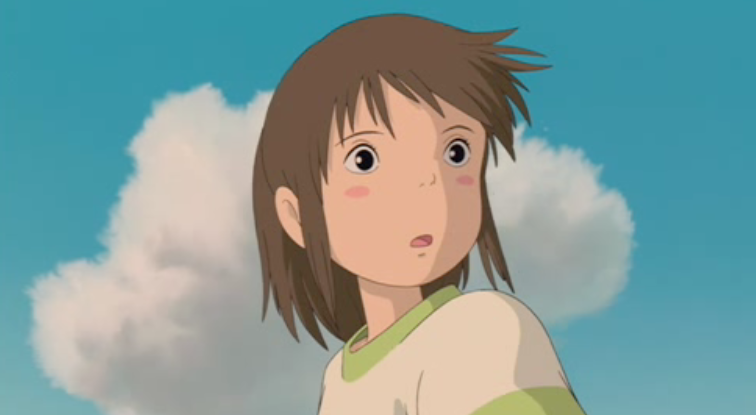 They make a big deal about Chihiro being human, which implies that nobody else is. It says that Lin is a weasel spirit in The Art of Spirited Away, although it isn’t specifically stated in the film. She does get really excited about eating a newt though. Note, Lin’s depiction as human didn’t break your immersion. You made an assumption and went with it. Interesting blog discussions. My two year old has been in love with Totoro since she was 18 months (she copies Mai’s every action and lines) and she has recently been taken in by Spirited Away.It is very fun to see the film through my daughter’s eyes. I thought it too complex for a two years old, but she just notices different things than I do. She follows two main plots every time: Sen helps the dirty monster gets clean and Yubaba misses her baby and baby comes back. I like how she roots for Yubaba to get her baby back. She acknowledges her bad temper, but still wants her to get her baby back because she knows she also has the capacity to love. She isn’t just a right off like most disney antagonists are. Watching my daughter, who roots for Yubaba and is fascinated with the dirty monster and Daikon spirit, I wonder if the binary opposition of many Disney films is healthy for children. I mean, evil is not very simple in real life. People are complex.